PRICE JUST REDUCED TO $9,995! THIS IS A 1/18th MULTI-OWNER HOUSEBOAT! 18 People own this houseboat! (1) SHARE AVAILABLE: Week #14: August 24 – August 31, 2019 (Saturday – Saturday). $899 turn-around fee (pump/clean/pilot, etc. ): Platinum Package Turn-around by Aramark @ Wahweap Marina. 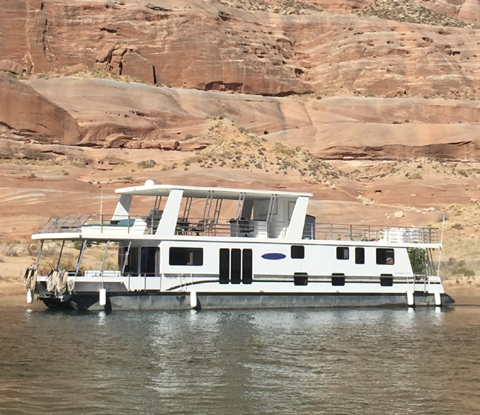 Houseboat located in Page, Arizona.